By now, it’s getting more normal, depending on how normal is measured. For Pierce Harrington, as of Sept. 25, there were only two other families living in his Lumberton, Texas, home. In the initial aftermath of Hurricane Harvey — which devastated not only Houston proper but also points like this farther east, particularly nearby Beaumont, Orange and Port Arthur — he had taken in three displaced families to join his own. In relative terms, Lumberton had become, as Harrington describes it, an “island.” Every major highway crisscrossing the Beaumont area in just about every direction was cut off by floodwaters. Harvey might have been downgraded in meteorological terms by the time it got to Beaumont, its winds having relented, but it still had some 60 inches of rain to release here too. And that it did. This is something at least some customers of Beaumont-based Cajun sausage maker DJ’s Boudain took a while to comprehend when it came to why they weren’t getting their orders; the company deals in fresh meat only and processes to order, and customers have been accustomed to quick service. So Harrington decided he had to construct a form email out of reality bricks. He’s a businessman and knows who butters his bread, so it was more polite than to suggest they first try dusting off and turning on their TVs. It wasn’t even close to business as usual. Better yet, it wasn’t business at all for a good week. For that long there was no going in or coming out of Beaumont. The DJ’s plant, which sits at dock level and is not in a flood plain (not that that mattered ), was spared any damage, and the company’s fresh-only, made-to-order business model would have helped to mitigate that anyway. Inventory turns over every 36 hours here, meaning the risk of spoilage is low. Nonetheless, a backup reefer truck was on standby with a generator should product need a new home. Meanwhile, computers monitoring the plant’s coolers could notify management of temperature changes and/or power failure. DJ’s was, like its brethren in Houston, playing it safe, putting its employees’ safety first. Like Wayne Butler, CEO of Chung’s Gourmet Foods in downtown Houston, Harrington notes that the storm was well publicized, and his company prepared accordingly. 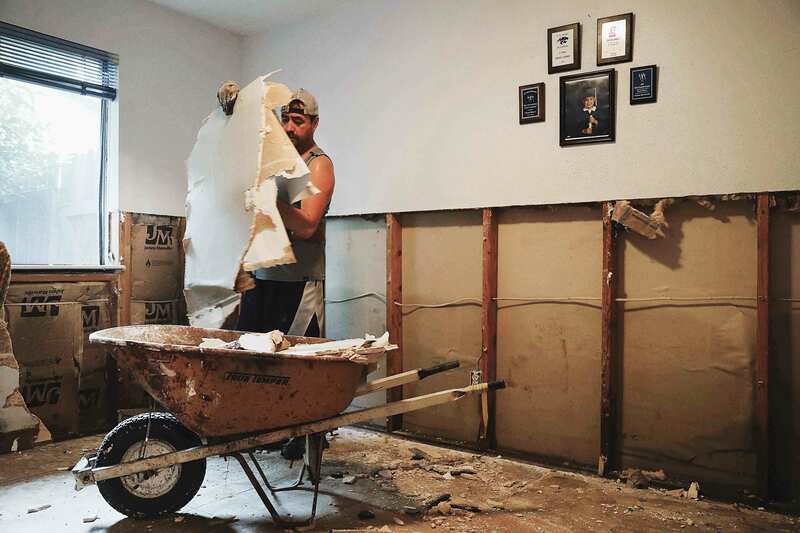 When Harvey first hit Houston on Aug. 25, management closed DJ’s plant in Beaumont and sent their 35 employees to their homes, which are scattered throughout the region. On Tuesday, Aug. 28, while residents in Houston were beginning to see some light, Harvey was on top of Beaumont, and that’s when the flooding began in earnest. Harrington was in Beaumont that day to check up on DJ’s processing plant and to visit an employee in the hospital after a non-storm-related car accident. Afterward he headed home, north about 15 miles to the bedroom community of Lumberton. He barely made it out of Beaumont. "We were on an island on the better part of four or five days." Not only was Highway 287, which is a section of Highway 96, shut down due to flooding, but so too were Highway 90 and Interstate 10 east and west of Beaumont. 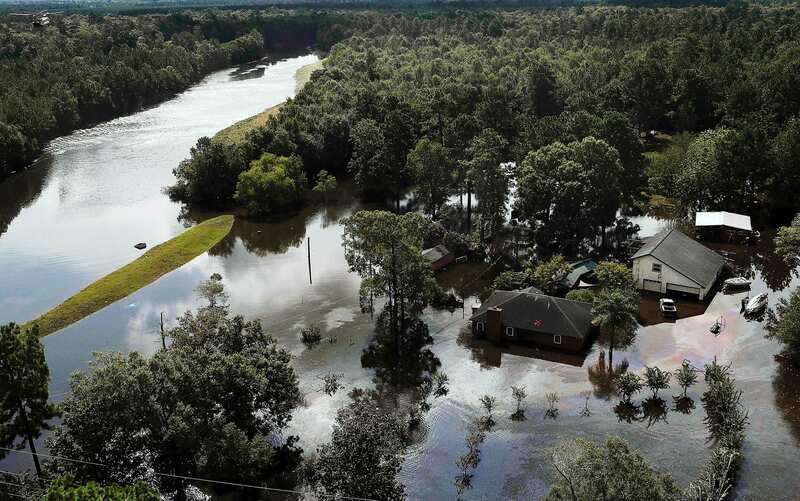 Low-lying areas, of course, were flooding fast, and anyone near the Neches and Sabine rivers was in double trouble because authorities had to open the spillways of the dam. 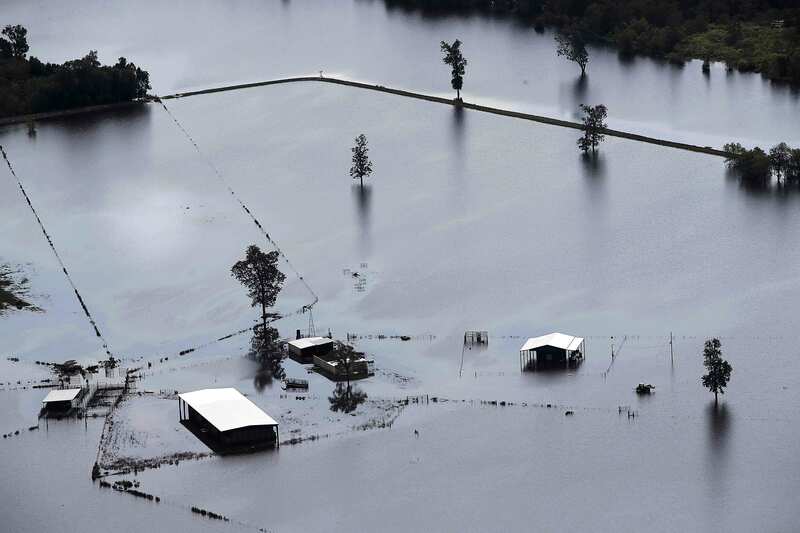 Eighty percent of homes in Port Arthur, cradled by the Neches River and Sabine Lake about 20 miles southeast of Beaumont, would see water damage. “As a result of all this, once I made it to Lumberton we were on an island on the better part of four or five days,” Harrington says. Soon Harrington’s own household of five turned into 13, as Harrington and his wife took in three other families. As of Sept. 25, one family had since moved on. But two families, one of which had 6 feet of water standing in their home, remained. DJ’s owner, Linda Morris, also took in two families. This type of living arrangement has become protocol in Southeast Texas. All of DJ’s staff survived the storm, though five of them suffered major damage to their homes. Just after Labor Day, Sept. 4, they were able to get back to see “what remained of their houses.” Fellow employees teamed up for at least the ensuing three days to help each other clean out the houses, otherwise known as ripping out everything down to the studs. This sticky climate has all the right ingredients for rapid mold infestation. “I know of no one whose family members or friends were not impacted,” Harrington says. The DJ’s plant’s topographical advantages prevented any physical damage and the power stayed on, but the business was not in the clear. With rain and flooding having continued on Wednesday, Aug. 30, and Thursday, Aug. 31, the city of Beaumont issued a boil-water notice on Friday, Sept. 1. The city’s fresh water pumps succumbed to floodwaters, so the plant had no water — nothing to drink, nothing to flush, and nothing with which to cook its boudain, boudain balls and Cajun rice dressing. “That’s when things started to become worrisome,” Harrington recalls, noting that soon planes were flying into Jefferson County Airport with bottled water for the entrapped souls in the Beaumont area. On Labor Day, Sept. 4, having discovered that the company again could secure fresh product, DJ’s forged ahead, deciding to pay for water tanks and pumps that would allow it to go through its typical 6,000 gallons a day. It wasn’t easy, particularly when potable water was at a premium. Priority was going to larger water consumers like St. Elizabeth Hospital and Baptist Hospital, which goes through an estimated 120,000 gallons per day, and dialysis centers. “You’re scrambling to find someone to carry your water and finding a source for the water and bringing it back to refill those tanks twice a day while you’re cooking,” Harrington says. Pierce Harrington, CEO of boudain processor DJ’s Boudain in Beaumont, Texas, describes taking in three displaced families and waiting out the storm with them. The plant began with its rather triage cooking operations on Thursday, Sept. 7, and continued to do so until 3 p.m. on Saturday, Sept. 9, when the city lifted the boil-water order. Then it was back to normal operations. The company hoped to catch up fully by the end of October. DJ’s compensated all employees for lost time and still is giving them guidance on available assistance programs. As of mid-October, most are still awaiting visits from FEMA. 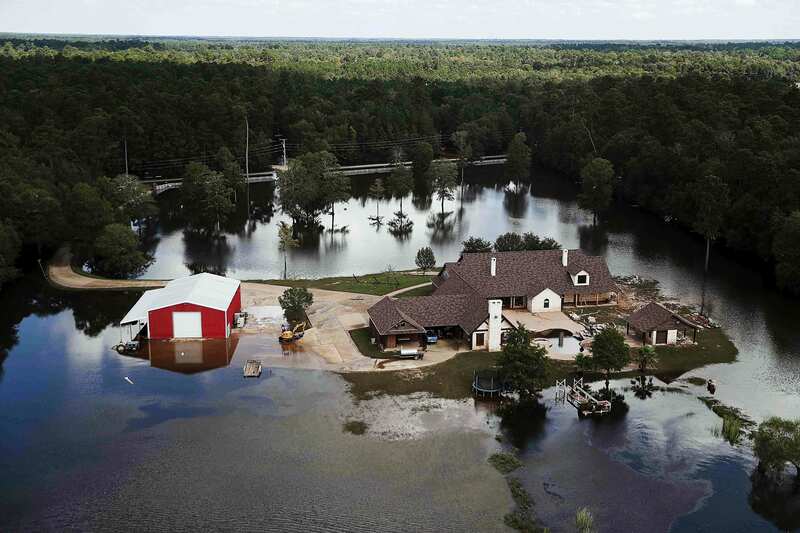 It took a while for some in the company’s customer base — mainly Texas, Oklahoma, Arkansas, Louisiana — to contemplate the supply chain disruption that Harvey caused. Distributors continued to sell the product in the pipeline — retailers, restaurants, c-stores, etc. — while DJ’s ceased production. So when the plant went back online, some customers were taken aback by the shortage of product. That’s where Harrington’s email diplomacy came in handy. With time has come more understanding. That goes for both DJ’s customers and the company’s management. Keep a strong balance sheet, Harrington advises, something that would prove to help his company overcome the eight-day loss of business, which is not covered by “business interruption” insurance because there was no damage to the facility. Assume that anything can happen, even if it has never before happened, and plan for it. Like many businesses and households along the Gulf Coast, DJ’s had the generator covered, but will be better prepared with extra water next time. “From now on, we have a plan in place so that we know who to call to bring in a potable water tank and be able to do that in less than 24 hours,” Harrington says. Meanwhile, he is still trying to make sense of how he escaped the devastation, professionally and personally, something that couldn’t be said for so many others. Sticking in his head is the tragic story from that area in which Collette Sulcer, a 41-year-old nurse, was found drowned with her 3-year-old daughter, Jordyn Grace, surviving by clinging to her mother’s floating body. But through it all, the struggle to keep a business afloat, the narrow escapes and the damage control, Harrington’s lasting impression overall is the power of humanity. He’s proud of Southeast Texas for showing how well people can unite and respond to a natural disaster. In the evenings, the two families taking refuge with Harrington’s gather around his large dining room table to eat. Along with the food, they share stories and keep each other abreast of their loved ones’ statuses. He’s come to love this ritual. “It’s almost like healing,” he says.